When we lived in Paris often times Hubby and I headed out for day long exploratory walks of our Parisian surroundings. Those long walks of never ending boulevards always left us hungry, a lunch break was a must. Unless it was raining, we’d sit at typical Parisian sidewalk cafes. Many of the sidewalk cafes have small round tables, tightly packed in, and all facing towards the hustle and bustle of the street. If we were lucky the sun would shine on us as we ate our lunch. One of my absolute favorite lunches from a Parisian cafe is Croque Madame, occasionally Croque Monsieur. Alongside my Croque Madame lunch I always had a cup of cafe creme, and sometimes a glass of red. What could be more perfect, sitting in a cafe enjoying a typical snack all while enjoying the famous Parisian cafe life? Not much. Croque Madame is a French grilled sandwich made with toast, ham, cheese and a poached or fried egg on top. A variation of Croque Madame is Croque Monsieur, which is the same as previously mentioned but minus the egg. Traditionally the sandwich is made using Gruyere or Emmental cheese and ham, though many other variations also exist. These quick sandwiches first appeared on Parisian menus in 1910 yet nobody seems to know why and how they got the name. Nowadays Croque Madame, Croque Monsieur and their variations can be found across France in cafes and bars. Since moving to Prague when the craving for a Croque Madame strikes it is up to us to make our own croque. But instead of it being lunch we like to have croque for dinner. They are perfect for busy nights or when you want a lighter dinner. I usually don’t stick to the traditional cheeses or pain de mie that is so common with croques. Depending on the type of bread and cheese in the kitchen my Croque Madame take on different looks. This one I made using Gouda and a country flax seed bread. Improvise and adjust to your taste. Add a little more butter to the pan and fry egg sunny side up. Serve the fried egg on top of grilled sandwich. If desired serve with a small green side salad. The sunny side up egg, or poached, is a must. The runny, buttery yolk flows down the sandwich and gives you an extra burst of flavor. If you use a hard egg you’ll really miss out on the full Croque Madame experience. Now doesn’t that just look like a delicious mess? Much better than the cheap croque madame you get from coffees here… Scrumptious and beautiful! Thanks Rosa, have a great weekend! Wish to grab and have this super irresistible sandwich..
You should Lea Ann, they are so easy to make. Wow … this makes me want to run out to the store and buy ham and cheese. (I have bread and eggs.) You did a beautiful job! Pinning this one. This is some gorgeous sandwich! For some reason, my sandwiches never look like this! Mine are always flat. That egg on top is making me droooooooooool! Have a great weekend! Thank you Jen. I tend to slice the bread thick so that could be why mine look “fluffier” You too! Oh this is one of hubby favorite friday night meals. With a cold beer, he is happy!! It’s night time but I’m already excited to try this tomorrow brunch. Runny egg yolk… beautiful shot! You are really detail. I like how you put the leaves on the bread and plate. :-) Really cute accent! Hehe, thanks for noticing Nami :) I hope you did try it for brunch. It’s amazing how a soft poached egg can lift so many dishes. We also have similar sandwiches when I can’t think of what to cook but I have never added the egg on top like that. Wil do next time. So true, but this on is fried. The egg makes for a heartier meal. This looks big and crispy and delicious…………. Croque Madame or Monsieur were my “go-to” lunches (and crepes, of course) when I lived in Paris. Your photos are so lovely and inspiring. I’m going down memory lane as I read this. Oh yes, let’s not forget the crepes:) Thank you ! When I went to Paris last year, this was the first thing I ate. It has always been one of my favorite, favorite sandwiches. When I am feeling “thin” this is what I induldge in! Glad that you got to try it and in Paris even better. That is so sweet, I would have love to have one made by your grandfather too:) Thanks! i neither have ham nor eggs, but the pics are drool worthy and gorgeous. It is really a great snack for the evening or the breakfast. I am sure it will keep your taste buds happy and you full for few hours to go. Nancy, this looks so much better than any croque Madame I’ve ever been offered in France! This is what I hope for but never get. CONGRATS on your Top 9, Nancy….such a gorgeous sandwich!!! Irresistible! What a fancy sammy! 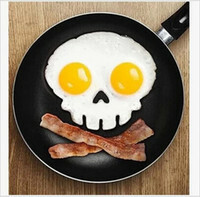 Looks awesome, bet it tastes amazing with that runny yolk. Wish I could be living a lovely french life ,Even if it’s just for a few weeks ;-) Congrats on top 9! I think you’re do for a trip to Paris ;) Thank you so much. I think this is is my favorite kind of meal. Lovely post and lovely sandwich! Definitely a favorite of mine. Thanks! My fave sandwich in Paris, too :) I love your untraditional version – it’s making me pine for Paris! I’ll be there again in June, yay! Mmm…theres few things better than a runny egg :) This looks delicious! Congrats on Top 9!! My favorite thing right now is putting a fried egg on any toasted or hot sandwich. This looks delicious. Thanks for sharing! Yes, yes, yes, that runny egg is a MUST. I love anything with a fried egg on top, and this sandwich is divine!!!! Croque Madame & Monsieur are a favorite of mine. I’m having it for supper tonight. Thanks for your take on it! Yummy and enjoy your supper!